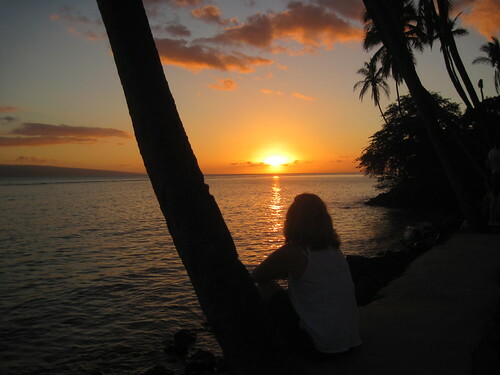 Lahaina sunset, a photo by Southworth Sailor on Flickr. Esther has not been able to shake off a cough and slight fever this whole week, so this morning we went to a doctor. He diagnosed it as bacterial bronchitis and gave her some antibiotics. She is feeling a little better, but still not up to par. It's so hard being sick on vacation! She found the strength to do a little window shopping in Pa'ai and Lahaina. She found a special necklace and we enjoyed the sunset.